Being the best moving services company, period, isn’t something that simply happens overnight. It takes a strong commitment to our customers and delivering the best moving and storage services our industry can offer. 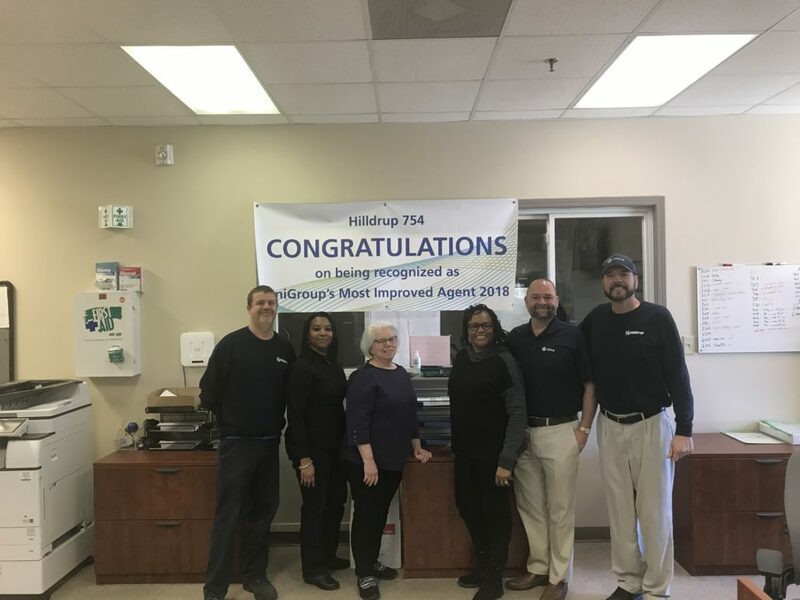 Recently, Hilldrup’s Raleigh branch was recognized by UniGroup as its Most Improved Agency within the size A category. This award is based on overall claims liability, referred to as “IMPACT”, and Customer Performance Average (CPA) to recognize agencies with the highest combined improvement. Raleigh’s IMPACT score improved from a 3.68 (June 2017) to a 1.99 (June 2018). Based on this impressive spike in quality scores, Raleigh was presented the Most Improved Agency award along with a check for $7,500. Congratulations to the entire Raleigh team led by John Diamond, Vice President and General Manager of Hilldrup Raleigh, on this impressive accolade. Job well done everyone, and we look forward to your continued success! From left: Mike Bobbitt, Warehouse Supervisor; Karen Eley, Commercial Project Manager; Glenda Foster, Billing Clerk; Venus Harris, OA/DA Coordinator; Jeremy Williams, Operations Manager; and Brinson Price, Local Planner, all gather together for a quick photo at the Raleigh office. Congratulations team! 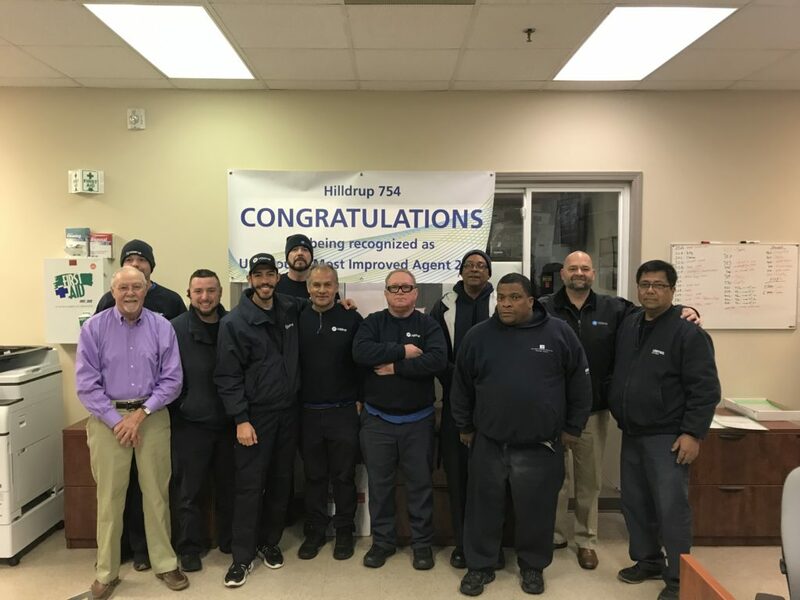 Raleigh’s Operations team consisting of responsibilities from quality to local planning, and warehouse to production teams, were all part of the reason that the Raleigh team was recognized by UniGroup. Job well done!